"Aspiring Hemingways, die-hard recreational-vehicle fans, Harley-obsessed boomers: If you’re feeling a little uninspired about your retirement options (another community based around a golf course? Really? ), you’re in luck. A new breed of retirement community is catering to those whose interests lie a little outside the mainstream. Lassell Village: Requires residents to attend 450 hours of class a year. Setup is similar to college. 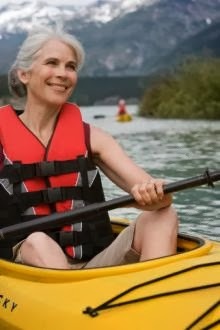 Lake Weir Living: For retirees who enjoy their big toys. Homes and surroundings are accommodating of RVs, motorcycles, boat, multiple cars, etc. Aegis Gardens: With a design focused on Feng Shui, residents may participate in activities including tai-chi, calligraphy, and mahjong. NoHo Senior Arts Colony: Exclusive to artists, actors/actresses, or those of the creative arts, residents have full access to numerous art rooms and theaters. What would your ideal retirement community have?